1. This curved built-in bunk bed from an apartment in Menuires, France. Designed by h2o Architects. Photography by Julien Attard. 2. This colourful bunk bed from a home in Cha-Am Beach, Thailand. Designed by Onion Co. Ltd. Photography by Wison Tungthunya. 3. 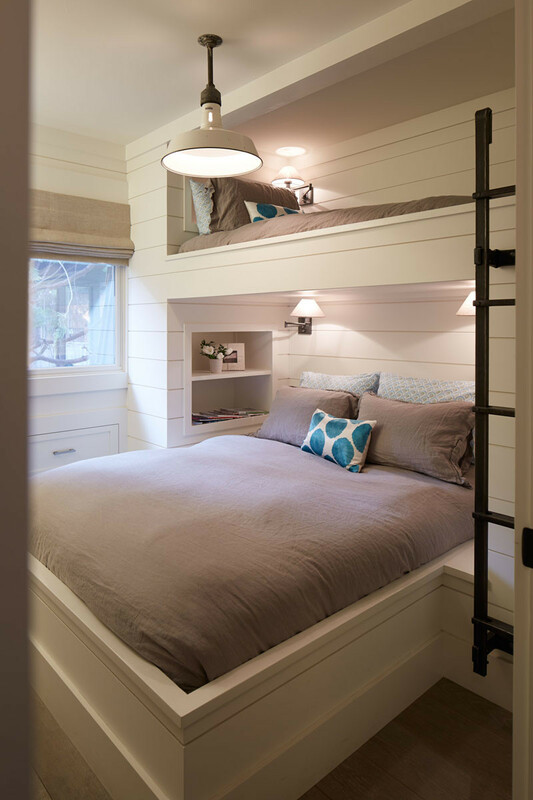 These dark wood and grey bunks have storage, as well as individual reading lights. Designed by Blaze Makoid. Photography by Vance Fox. 4. 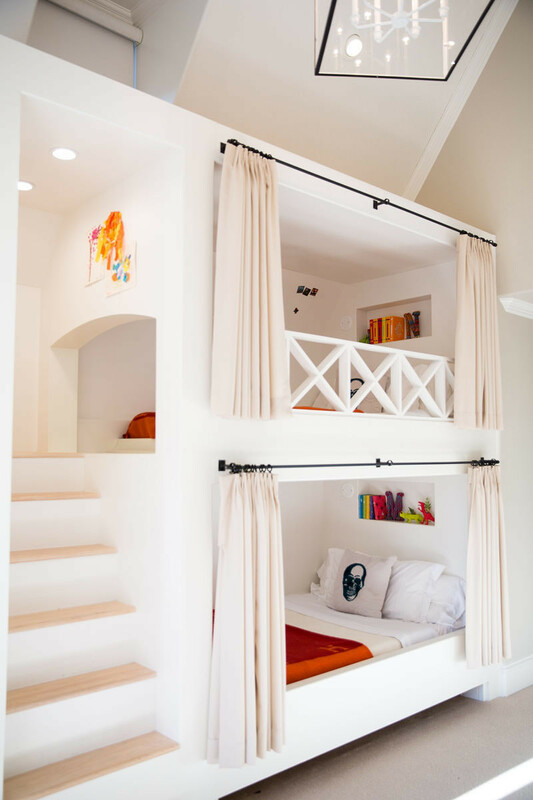 These bright bunks offer sleepers a bit of privacy by having curtains. 5. 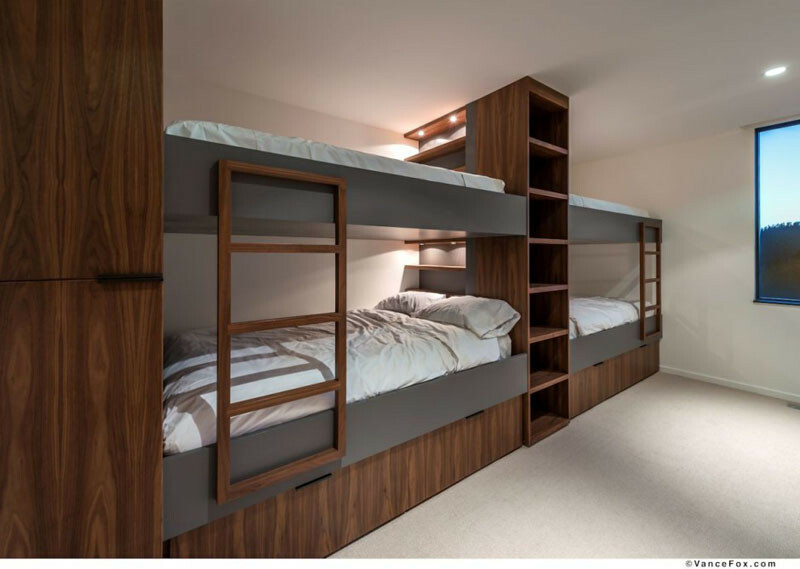 These bunk beds have been designed to have a queen bed and a single bed fully built in. Designed by Artistic Designs for Living. 6. These minimalist bunk beds in a Russian home are made from birch. 7. 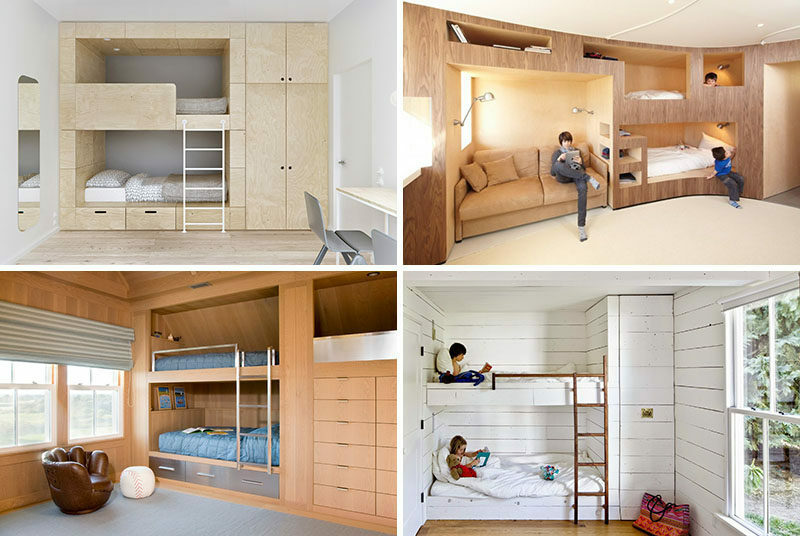 These neutral bunk beds blend right into the room, and each bunk has a reading lamp. Designed by chas architects. Photography by Mark Knight. 8. 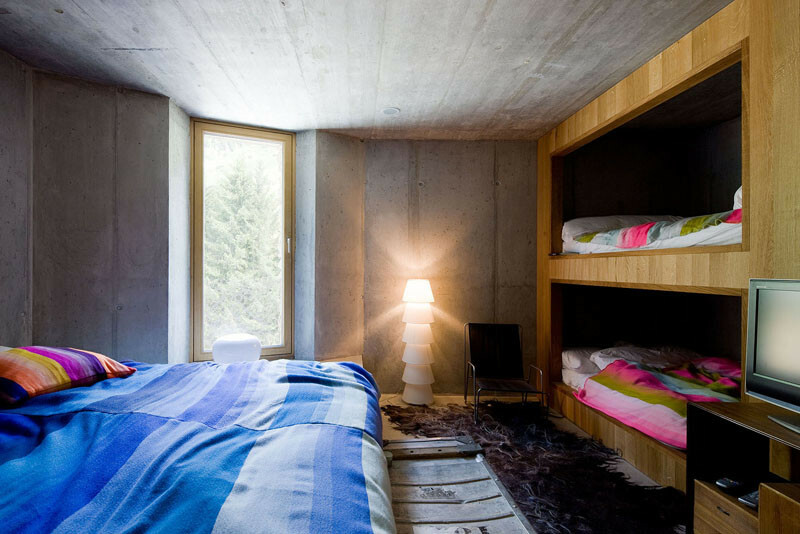 These wooden bunks are part of a holiday home in Switzerland. Designed by SeARCH Architecture in collaboration with Christian Muller Architects. 9. 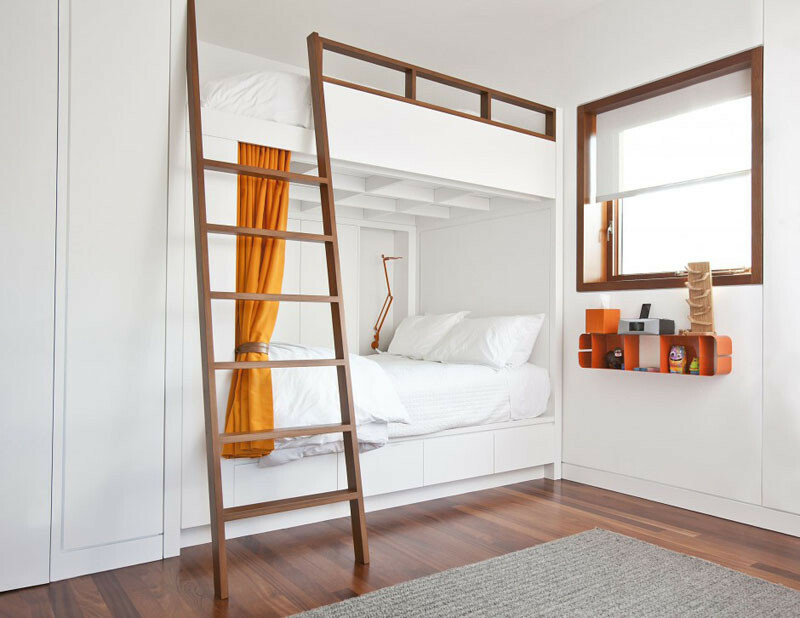 These wooden bunk beds have stainless steel storage drawers, ladder and guard rail. Designed by La Tour Design. Photography by Shelly Harrison. 10. The wood ladder and frame on these white bunks perfectly matches the window frame, and the orange curtains and shelf add a pop of color. Architecture by Vinci | Hamp Architects, Inc. Interior by Stephanie Wohlner Design. Photography by Eric Hausman. 11. 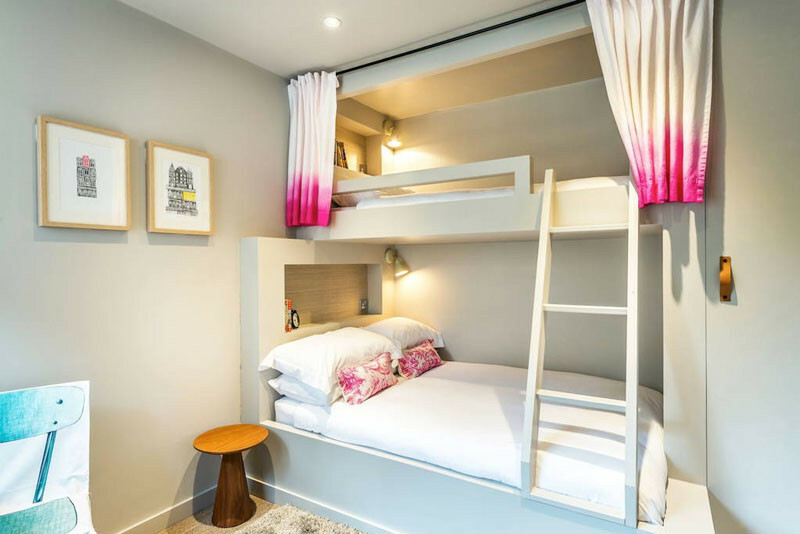 These neutral-colored bunk beds with a touch of pink are in a home in Edinburgh. 12. 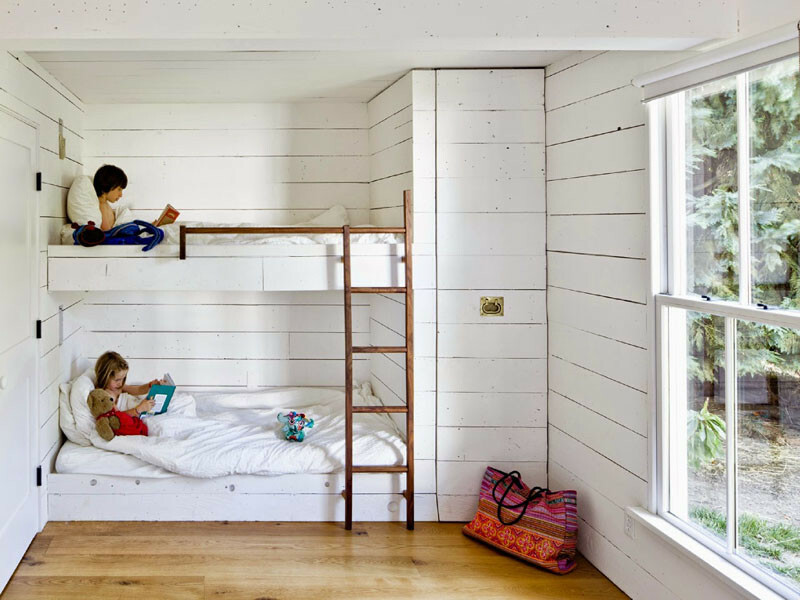 These built-in bunk beds are surrounded by white painted wood.